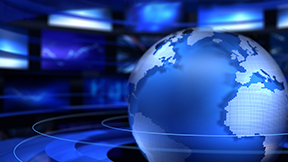 Last week’s news put a bright spotlight on how much impact IT professionals have on our world. Unfortunately, it’s the bad news that gets the headlines, from a configuration error at NYSE down to a single router “glitch” for United Airlines, but there is a positive side to the unfortunate delays and lost productivity from the past few days. These outages, whose negative impact was thankfully limited, have given many outside of the IT world a brief, visceral understanding of all the work that goes into the interdependent, global technology ecosystem we live in. Inside companies around the globe, executives may have taken an extra moment last week to appreciate the solid IT pros THEY have on the job, keeping their business running, and running well. Here at eG Innovations, we live and breathe IT performance, because this is where the rubber meets the road, so to speak, for our clients. 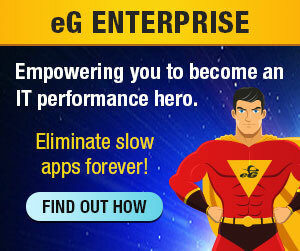 The driving goal behind our unified performance solution, with specific emphasis on Citrix monitoring, Java application monitoring, SAP monitoring and others, is to provide you with immediately actionable information about slow-downs and outages throughout your network, beyond just data and metrics. While most of our customers focus on preventative and proactive performance management, we’d like to throw in a mention that our Correlative Intelligence engine is a time-tested technology for dramatically reducing MTTR when outages do occur.